Click on the tabs below to find out more about top universities in Canada, popular student cities, and practical information on applications, costs and visas. Quebec is world’s largest producer of maple syrup (three-quarters of global output), while 80% of the world’s maple syrup comes from Canada. 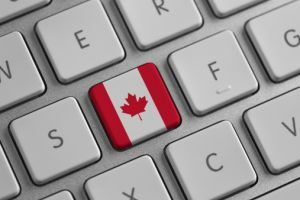 For those looking to study at an elite university in one of the world’s most developed nations, applying to study in Canada can be an attractive option. A total of 26 universities in Canada feature in the QS World University Rankings® 2019, of which three are in the world’s top 50, with 11 more making the world’s top 300 – a feat matched only by a handful of other nations. The two highest Canadian entries are the University of Toronto (28th) and McGill University (33rd), located in Toronto and Montréal respectively (the two largest cities in Canada). Also ranked within the global top 220 are the University of Alberta, McMaster University, Université de Montréal, the University of Waterloo, and Western University. Undergraduate degrees in Canada can take either three or four years to complete, depending on the university. Postgraduate degrees last between one and three years to complete, depending on the type of degree. Different types of higher education providers in Canada include: universities (which carry out research and provide both undergraduate and postgraduate degrees), community colleges and technical, applied arts or applied science schools (which grant certificates, diplomas, associate’s degrees and bachelor’s degrees). As universities in Canada are managed by provincial governments, you’ll find there will be slight differences in how education is carried out. Quebec, in particular, is markedly different to the rest of Canada, with different term times and length of study. For instance, students finish secondary school a year early and must take a mandatory pre-university General and Vocational College (CEGEP) course, essentially eliminating the freshman year of university. Check with your chosen institutions for specific details. Studying a master’s or PhD? To find out about studying in Canada at graduate level, get your free online copy of the QS Top Grad School Guide. Featured as the fourth best city for students in the QS Best Student Cities index, Montréal is the biggest city in the French-speaking province of Quebec and the second-largest city in Canada. There are four universities in Montréal, as well as seven other degree-awarding institutions and 12 General and Vocational Colleges (CEGEPs), giving the city the highest concentration of post-secondary students of all major cities in North America. 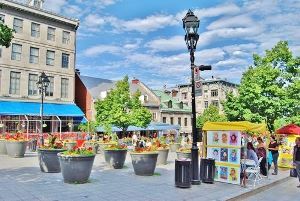 Widely cited as the cultural capital of Canada, Montréal boasts a unique combination of European sophistication and American pizzazz, which gives it a buzz few other places can match. As a student, you’ll certainly never be at a loss for things to do, with plenty of theater, music, dance and visual arts to explore, including the annual Just for Laughs comedy festival, the world’s largest of its kind. Also, don’t miss the Montréal Fireworks Festival, frequently hailed as the best and largest fireworks festival in the world. Among universities in Montréal is Canada’s second-highest ranked university this year, McGill University (33rd in the QS World University Rankings® 2019). Beyond that, universities in Montréal also include the Université de Montréal (joint 149th) and Concordia University (joint 464th) among others. While McGill and Concordia operate primarily in English, many universities in Montréal are Francophone, as are the city’s residents. So even if you’re an English speaker at an Anglophone university, be prepared to make an effort with your French. 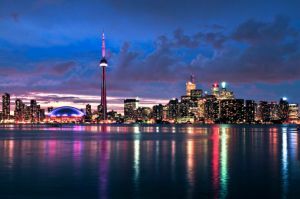 The provincial capital of Ontario and the largest city in Canada, Toronto is known for being one of the world’s most multicultural cities, with around half of its 2.8 million-strong population hailing from outside of the city. Accordingly, it is an exciting and diverse place to live, with its residents’ heterogeneity reflected in the city’s culture and cuisine. Home to the Toronto Stock Exchange and the country’s five largest banks, Toronto is Canada’s leading financial center – while also being known as a world-leading hub for the entertainment, media and creative industries. Toronto’s collection of museums and galleries is impressive, ranging from the large Royal Ontario Museum and the Art Gallery of Ontario to the much smaller Gardiner Museum of ceramic art, Gallery of Inuit Art or the Bata Shoe Museum. The Toronto International Film Festival is one of the world’s biggest, and the city’s live music scene is celebrated by locals and visitors alike. There is also a vibrant club scene and more than enough cafés and restaurants to keep foodies and coffee-lovers satisfied. When it comes to education, universities in Toronto include some of Canada’s highest-ranked. Indeed, the University of Toronto is Canada's highest-ranked entrant in the QS World University Rankings 2019, at 28th in the world. It’s joined by York University (ranked joint 481st), Ryerson University (801-1000) and a selection of other higher education providers, including the Royal Conservatory of Music. Not sure whether to study in Toronto or Montreal? Get a comparison of both cities here. A relatively young city on Canada’s west coast, Vancouver is the perfect destination for those who want to combine city living with easy access to the great outdoors. And by great, we really mean great – the landscape surrounding Vancouver is truly spectacular, ranging from lush green forests and stunning lakes, to the rugged magnificence of the Canadian Rockies (especially popular with skiers and snowboarders). There’s plenty on offer for city slickers too in this cosmopolitan and vibrant town. Canada’s third-largest metropolis, Vancouver consistently features in lists of the world’s most livable cities – and has become one of Canada’s best-known and most-visited cities. Cultural offerings include three prominent theatre companies, the Vancouver International Film Festival, and a vibrant and diverse music scene. Prominent universities in Vancouver include the University of British Columbia, (ranked 47th in the latest QS World University Rankings) and Simon Fraser University (joint 264th). 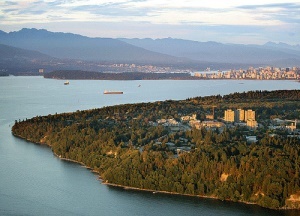 Neighboring Vancouver Island, meanwhile, hosts the University of Victoria (joint 359th) and Vancouver Island University. Of course, Quebec is not just a giant museum – it’s very much a living and changing city. There’s no shortage of things to do here, in terms of both nightlife and culture, and the city is especially known for its colorful Winter Carnival, lively gay scene, and intimate live music venues. Notable universities in Quebec City include Laval University (ranked joint 402nd in the QS World University Rankings 2019) and the Université du Québec (541-550). The city is also home to the oldest educational institution for women in North America, the Ursuline Convent of Quebec City. 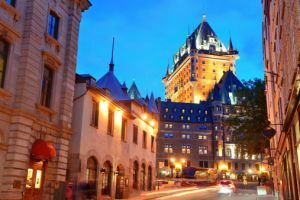 Teaching at universities in Quebec City is primarily in French. Capital city of the province of Alberta, Edmonton is known for its year-round selection of festivals, earning it the nickname The Festival City. It is equally well-known as the home of the West Edmonton Mall, formerly the biggest shopping mall in the world and currently North America’s biggest shopping mall, and for being one of the most northerly major cities in the world. Don’t let this northern location put you off too much. Edmonton’s weather is relatively (emphasis on relatively) mild, even compared to some other more southerly Canadian cities. 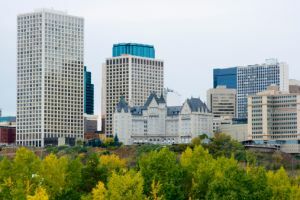 Its location, towards the west of Canada, also means there is no shortage of natural beauty nearby, and the city itself has plenty of attractions – including Ford Edmonton Park, Canada’s largest living history museum, the buzzing downtown Arts District, and the fashionable Old Strathcona area, where many of Edmonton’s theaters and live-performance venues are located. All this can be found among a mix of modern and historic architecture, including restored historical buildings, and a good range of restaurants, pubs and clubs. Among universities in Edmonton, the most notable is the University of Alberta, ranked fourth in Canada and 109th in the QS World University Rankings 2019. Other options include the Northern Alberta Institute of Technology, NorQuest College, MacEwan University, The King’s University College and Concordia University College of Alberta. In general, tuition fees in Canada are less expensive compared to other major Anglophone destinations (the US, UK and Australia), but still higher than most other countries. Average tuition fees in Canada for international undergraduate students start at about CA$17,337 (about US$13,350) per year. Universities in Canada set their own fees, and the cost of study also depends on the type of course and the subject – tuition fees in Canada for arts and humanities students tend to be at the lower end of the scale, with subjects such as engineering and medicine students among the more expensive. 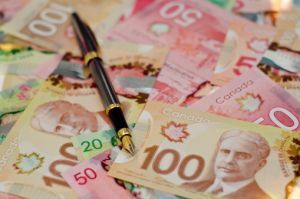 Find out more about the costs of studying in Canada here. One example of a source of scholarships to study in Canada is the Canadian Commonwealth Scholarship Program, which provides scholarships to students of other Commonwealth countries. You might also find the financial assistance information on the Canadian Information Centre for International Credentials website useful. You can also check out our listing of scholarships to study in Canada.